So let's say Kanye West builds a zoo. What's going in this zoo? Peacocks? Golden elephants? Taylor Swift? 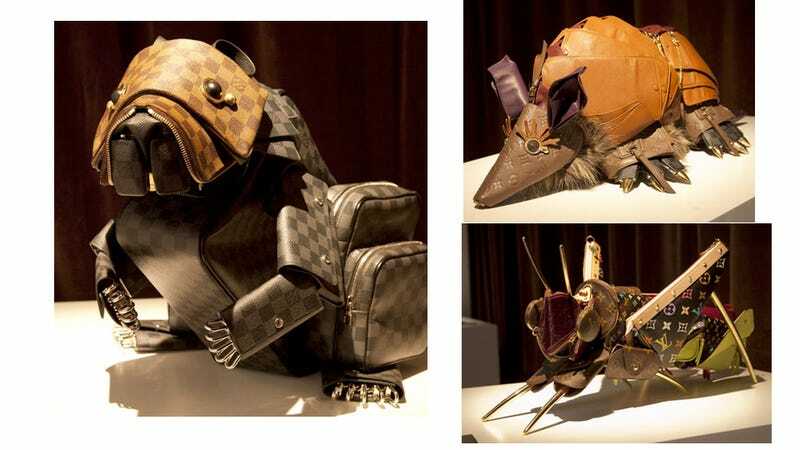 No—a fleet of these stitched-together Louis Vuitton Franken-critters, built from the guts of some very, very expensive bags.